All local and national SMSes will be charged at 25 paise per SMS. Customers who have a 4G-enabled handset and SIM will get 2GB 4G data. Vodafone India has been releasing special plans for customers amid intense competition in the telecom sector unleashed due to new entrant Reliance Jio. If you recharge your phone with Rs 148, Vodafone is offering you unlimited Vodafone to Vodafone calls. 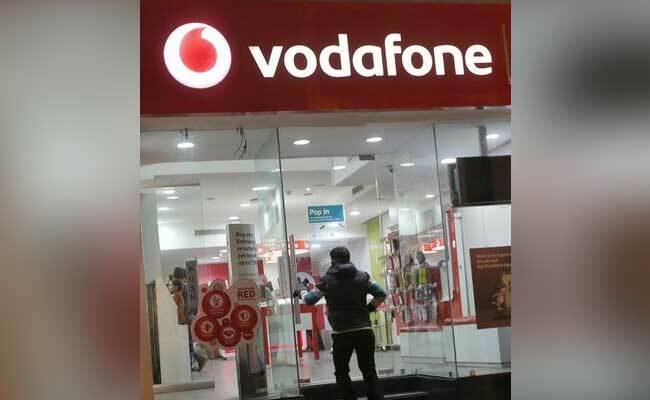 Calls made to other operators will be charged at 1 paisa per second, the company said on the Vodafone app - My Vodafone. In addition to this, customers who have a 4G-enabled handset and SIM will get 2GB 4G data. However, customers who have a 4G-enabled handset only, will get 300MB data while all other customers will get 50MB data. All local and national SMSes will be charged at 25 paise per SMS. The validity of this pack is for 28 days and it is available only for prepaid users. 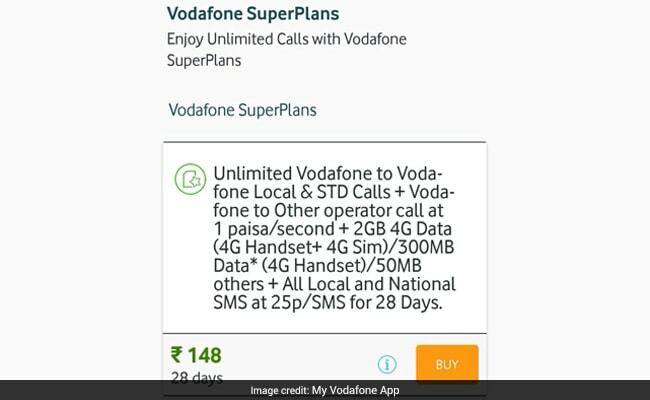 The offer is listed in the 'SuperPlans' being offered by Vodafone. Vodafone is also providing its prepaid users 28 GB of data (1GB per day) in a limited-period offer. Valid for 28 days, the Rs. 345 recharge pack comes with unlimited voice calls as well as 1 GB of mobile data per day. Highly competitive pricing of mobile data and the facility of free voice calling by Jio has forced incumbent players to announce new plans or revise existing offers to protect their market share, say some analysts. Many incumbent telecom companies have come up with new packs and plans for their prepaid and postpaid customers alike to tackle the competition. Recently, when telecom regulator TRAI (Telecom Regulatory Authority of India) slashed interconnect usage charges (IUC), Vodafone and Bharti Airtel had slammed the move, saying it will worsen the financial health of telecom companies, a charge that newcomer Reliance Jio rubbished on grounds that customers must benefit from falling costs. Vodafone termed the decision as "retrograde regulatory measure" that will significantly benefit only the new entrant but stopped short of directly naming Jio, news agency Press Trust of India reported. TRAI had on September 19 day more than halved the IUC to 6 paise a minute starting October 1 and zero from January 1, 2020. Mobile companies currently charge 14 paise a minute for allowing a domestic call from a rival operator to terminate on their network.